It’s that time of year again! The holidays are upon us, and it’s time to enjoy a full season of festivities, parties, and gift-giving. Why not make things easier on yourself by gifting your loved ones with classic jewelry? 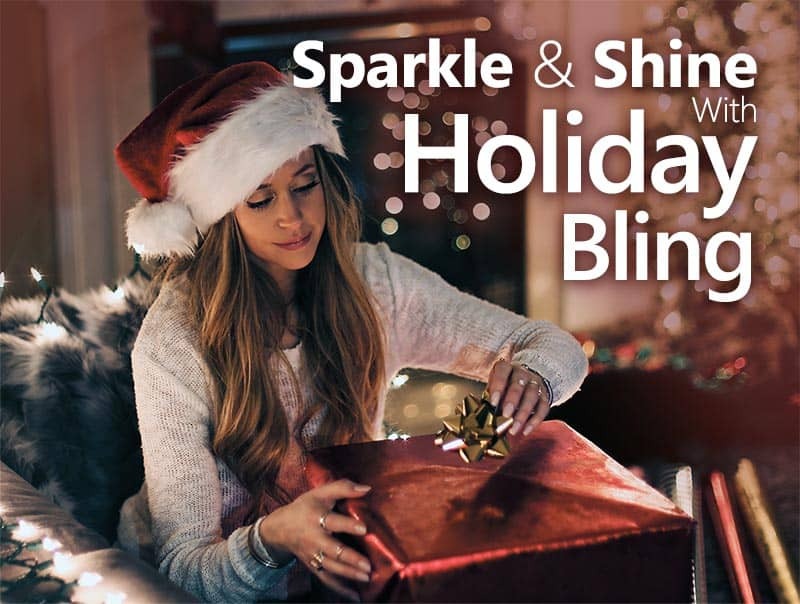 You really can’t go wrong with jewelry – and with customizable options from J. Briggs & Co., like choosing which precious metal to use, that Christmas or Hanukkah bauble becomes extra special. Oh, and don’t forget to pick up a little something for yourself while you’re at it. When picking out Christmas jewelry as a gift, make sure to choose pieces that are sentimental and can be worn year-round. A cross pendant, for example, is a classic shape that can hold a great deal of meaning when given as a Christmas gift. 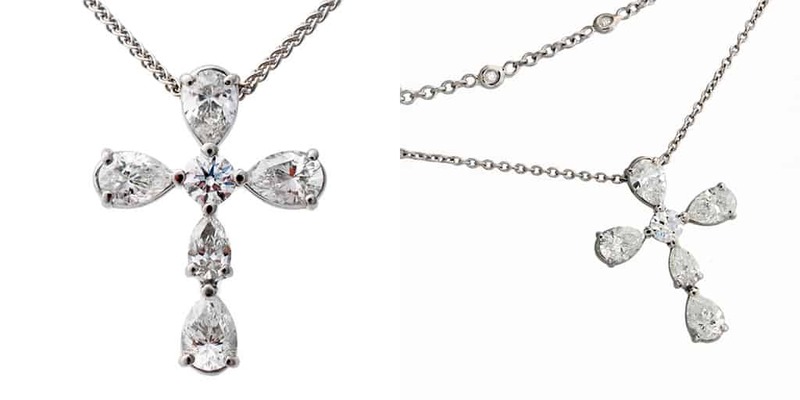 Plus, it doesn’t hurt if the cross is composed of several pear-shaped diamonds. When selecting a J. Briggs & Co. pendant and customizable chain, pick the platinum chain for Christmas. Might as well go all-out. 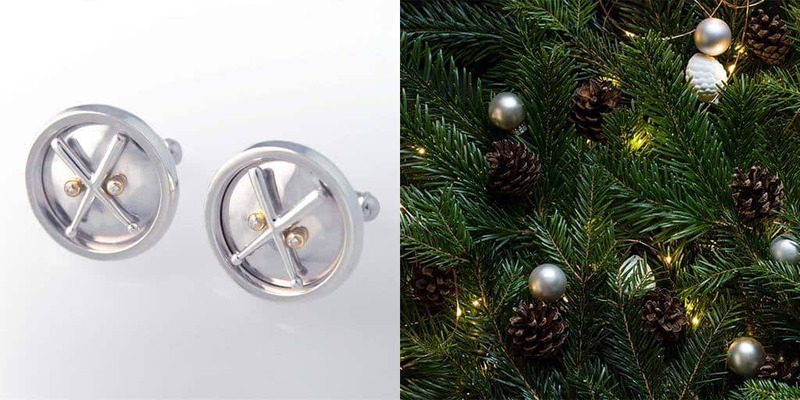 For the stylish man in your life (or a younger brother you wish would dress better), custom cufflinks are the perfect Christmas gift or stocking stuffer. If he’s a sports fan, these baseball-inspired cufflinks with precision cut diamonds have just the right balance of bling, masculinity, and that “typical guy” factor. With eight days to fill with presents, Hanukkah jewelry gifts are a surefire way to shake things up a bit; and deep blue sapphires will definitely stand out from the rest. Add in a hint of ice – aka diamonds – and you’ve got a game winning combination. A beautifully crafted pendant with diamonds and sapphires makes an elegant statement, yet it’s still simple enough for everyday wear. 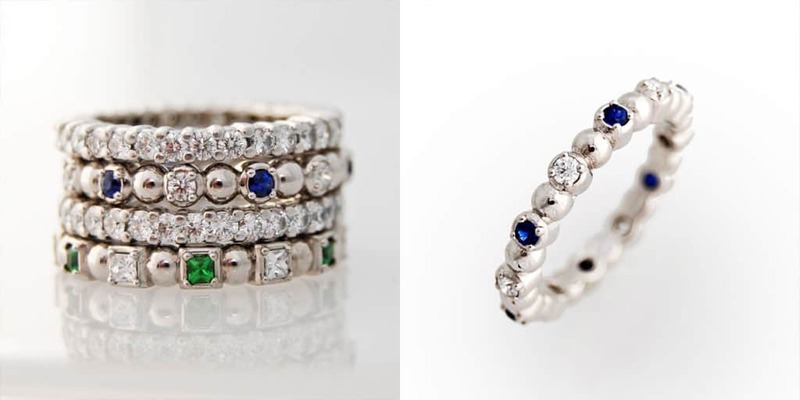 A large cocktail ring is super classy when holding a martini glass, but fashionistas can also create their own unique look with stackable rings. And in this case, we’re not referring to those throwaway stackable rings made of plastic or nickel. This Hanukkah, wrap up a stunning sapphire eternity band (or several) for a memorable gift. Whether they’re worn stacked or solo, a sapphire and diamond band is an exquisite addition to any lady’s jewelry wardrobe. Holiday shopping is exhausting – go ahead and reward yourself with some shiny new Christmas jewelry. 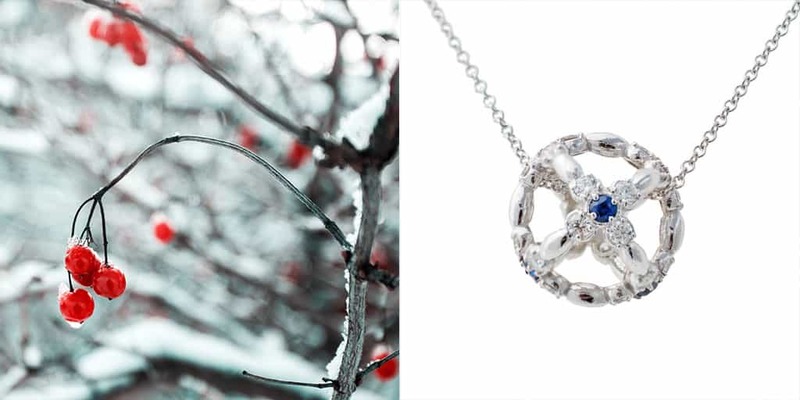 Christmas-themed jewelry can be so kitschy, but incorporating a subtle holiday motif into your jewelry collection is charming. 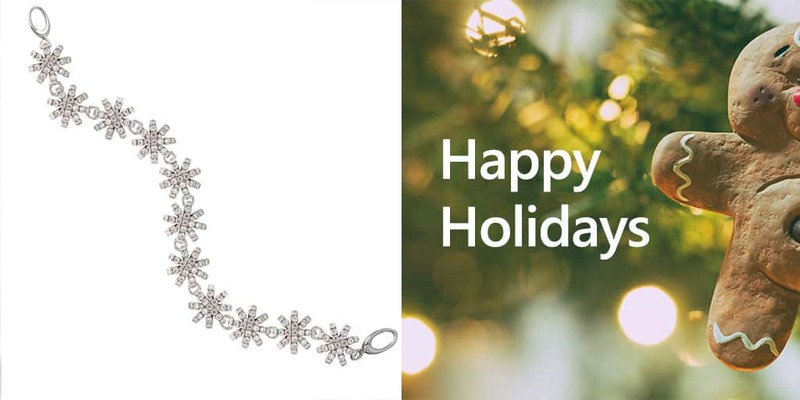 Instead of the normal tennis bracelet, treat yourself to a glitzy HopeStar diamond bracelet that mimics the look of snowflakes with eye-catching sparkle. It’s the ultimate accessory for any holiday party or special occasion. If a barrage of diamonds isn’t your thing (don’t worry, we won’t judge), try a strand of multicolored pearls peppered with diamond HopeStars. Worn with the perfect little black dress, this necklace is a total showstopper. 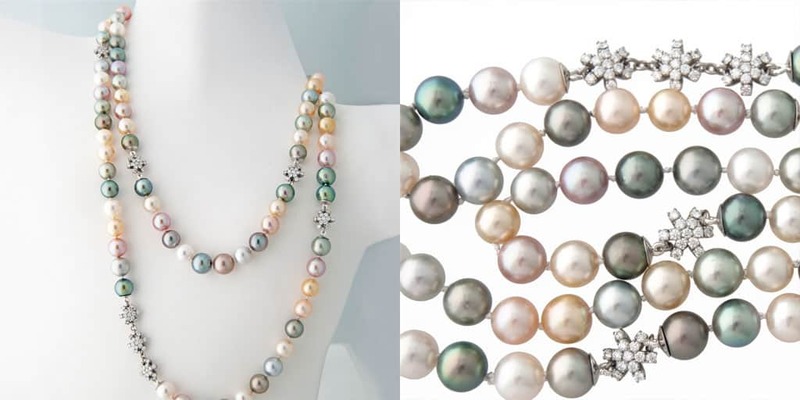 Rather than the cliché red and green combo, a pastel array of South Sea, Tahitian and freshwater pearls add a splash of color that you can wear during Christmas, Hanukkah and beyond. Sure, you could give these pearls away as a gift – but we recommend stashing them away for yourself. If you’re looking for something extra special this holiday season, contact us to see if we can create something custom for you. Don’t miss our next blog post. Sign up for our mailing list to receive all of our best blog posts.